Added on 04 October 2018 . By Faith Strickland. 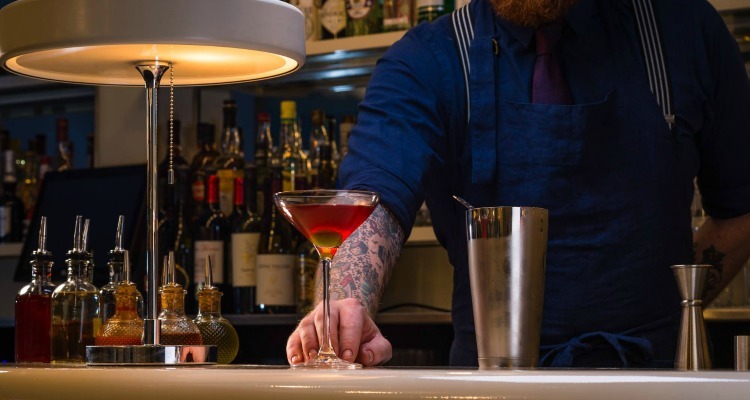 Swift was one of the four new London bars to be included in the World's 50 Best list. Sure, London might not deal with pollution, overcrowding and travelling well, but if there's one thing our capital can hold its head high about, it's boozing. Not the drinking tinnies in the park, on the tube or at the cinema kind, but proper, sophisticated mixology. Once again a London bar has been crowned the best on the entire planet, with Dandelyan scooping first prize in The World's 50 Best Bars. And while news that it's about to close is sure to bring a tear to your eye, fear not, as four new London bars have entered into the list. Bringing the number of London bars in the top 50 to a grand total of 10, the new entrants include Bethnal Green's Coupette and Three Sheets in Hackney. Cocktail supremo Matt Whiley's Scout, which recently relocated to Hackney, is also included, swooping in at number 28, while Swift over in Soho picked up number 46 for their martini-based concoctions and whisky library. Oriole, Bar Termini, The American Bar, Happiness Forgets, and Connaught Bar all kept their place. The World's 50 Best Bars 2018 includes 10 London Bars, including Scout, Dandelyan, Swift, and Oriole.